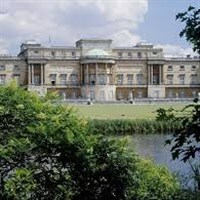 The Summer Opening of Buckingham Palace in 2019 will include an exhibition to celebrate the 200th anniversary of Queen Victorias birth, a special exhibition, Queen Victorias Palace, will tell the story of how the young queen transformed Buckingham Palace from a private house into a working royal residence. Together with Prince Albert, she made Buckingham Palace a rallying point for the nation, a powerful symbol of the British Monarchy, and a family home for their nine children. At the end of your visit you can enjoy a walk through the garden to the exit, with splendid views of the Palace and the famous lake. For a more in-depth look at the gardens, you might prefer the Garden Highlights Tour we offer on selected dates. The State Rooms are fully accessible and they welcome visitors with different access requirements. If you require Special Access tickets they must be pre-booked by Bakers Dolphin at the time of your booking. Wheelchair access and step-free access are available via a separate entrance at the front of the Palace. Timed entry to the Palace State Rooms is usually booked for 14.30.